Virginia’s society represented the full class spectrum–Native Americans, wealthy landowners, day laborers, and slaves. This diversity provided a backdrop of cultures to make up one new Virginia culture. Here is a painting of slaves dancing in new Virginia. The music instruments of choice were the banjo and the fiddle, with use of something called “bones” to clap together. English country dances were played by fiddlers. Virginians sang psalms, fiddled, and actually recorded music to the best of their abilities given the times. Fifers and drummers continued to be heard throughout the 1780’s, and many war marches were still occasionally played. Music in Virginia began to blend with Scotch-Irish tunes, psalms, African slaves, and the Indians. Known today as folk music, Virginia and much of the southern and inland states started to popularize folk music that was passed down from family to family throughout the generations. When dressing up, dress was elaborate. If women were able to afford a gown, they might wear one like Martha Washington’s. Or they might wear a fancier one with a bit more silk like this one featured here. Notice the high piled hair–elegant and wealthy women still wore their hair as high up as possible. 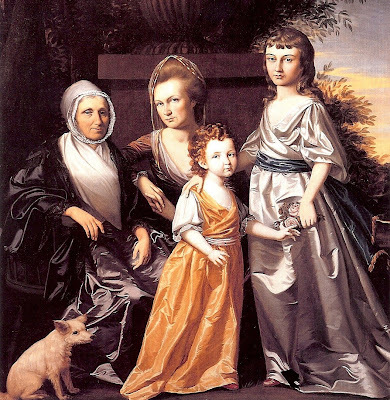 Here is a portrait of a wealthy family, showing how nice clothing was for the upper class. Paintings can be misleading, it is unlikely children were running around in silk; but it is likely wealthy families owned clothing such as this. Naturally, the majority of Virginians would wear plain colored, or blue, dresses made from wool and spun at home or by a neighbor. 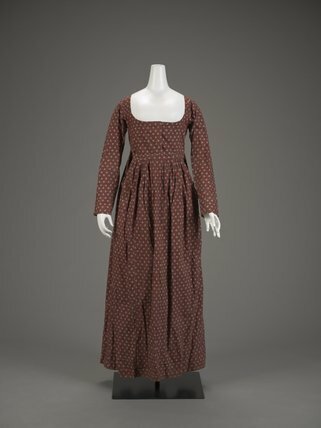 Cotton outfits did not become very popular until the mid-1790’s. Food in Virginia included some colonial standards such as porridge and cider. 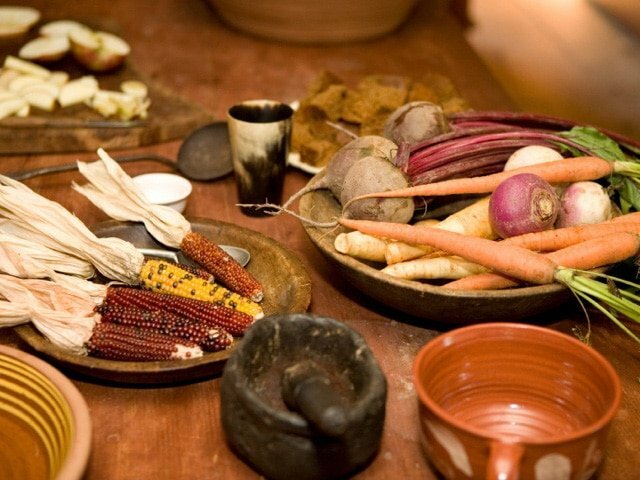 However, Virginians did become creative cooks, preparing some luxuries such as stewed beef and bread pudding. Rabbit, apples, and pork were other common foods. Items grown in the garden were typically preserved and used throughout the year. Virginians did have to learn some manners–and they were enforced. Here is a list of the Rules of Civility & Decent Behavior In Company and Conversation. Manners were needed so that intense games, such as the one below, would keep men in their seats from lunging across the table.